The requirement for TBM ( Tunneling Boring Machine) slurry treatment decanter centrifuge is big bowl, big volume when working with dewatering unit( dozing system). Our existing biggest model decanter centrifuge is GNLW553C-VFD, which is with 22inch bowl diameter and 1800mm bowl length, when it works for drilling fluids, the treating capacity is 400gpm, max capacity for clear water is 500gpm, but with flocculation unit the treating capacity is not big enough. 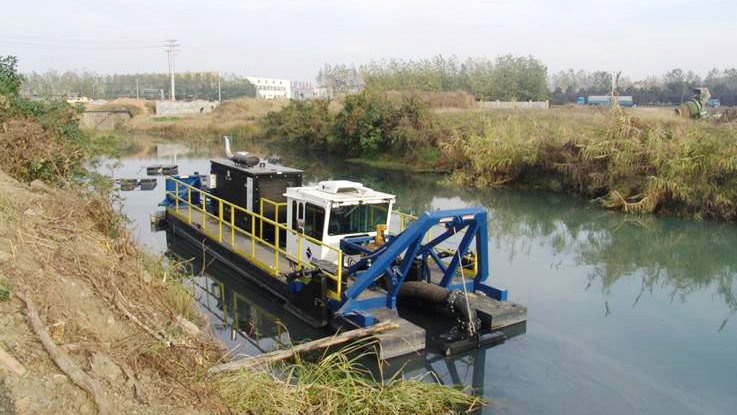 GNLW764A-VFD is special designed for TBM and dredging slurry separation applications, with big bowl 30 inch diameter and 132 inch bowl length. The max hydraulic capacity could be up to 800gpm.The max G force up to 3000G. The VFD control panel is 2 motor variable speed control for main motor and back drive motor. The centrifuge bowl material is duplex stainless steel which is much better than stainless steel 316L and SS304 which is commonly applied by other Chinese suppliers. Except for big bowl big volume decanter centrifuge for Tunneling boring machine & dredging slurry separation industries, GN solids control also design decanter centrifuge oil sludge separation, tank bottom cleaning, drilling fluids cleaning and recycling, sand washing, welcome to contact with GN sales engineer to choose a correct model.